Copper foil is what gives the fine detail to stained glass. It also allows you to put pieces together in 3 dimensions, to make delicate lampshades and free formed items. Personally I prefer the copper foil technique over leadlight because of it's diversity and fine lined look. 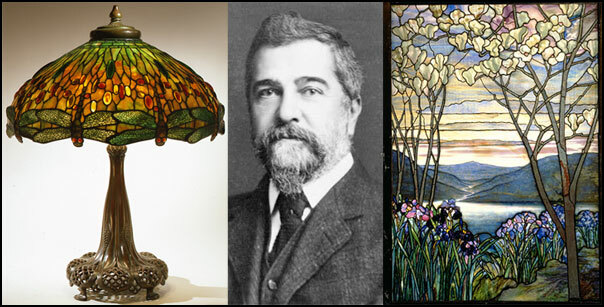 One of America's most acclaimed artists, Louis Comfort Tiffany's career spanned from the 1870s through the 1920s. He embraced virtually every artistic and decorative medium, designing and directing his studios to produce leaded-glass windows, mosaics, lighting, glass, pottery, metalwork, enamels, jewelry, and interiors. As the son of Charles Lewis Tiffany (1812–1902), founder of Tiffany & Company, the fancy goods store that became the renowned jewelry and silver firm, Tiffany chose to pursue his own artistic interests in lieu of joining the family business. The material comes in a roll. It is literally a copper tape with an extremely sticky adhesive backing. When being used, a paper layer is peeled away to expose the adhesive The copper tape is laid onto the glass edge and then pressed down. It forms a U coating of copper over all glass edges. Joining glass together is done by soldering across the foiled edges, forming a bead of solder. You'll need to use a foiling machine to assist with applying the foil accurately onto the glass. Foiling can be done without one, however it's such a mission why put yourself through the grief? The only time one may want to go without one is when you are foiling long straight lengths of glass. Foiling is pretty easy task. You only need to watch out for applying it evenly to the glass. If it is not sticking well to the glass there is only one reason, the glass is dirty, usually with oil from the cutter. Pieces need to be rubbed down well with a clean cloth. Press the foil onto the glass after it is applyed. There are several tools one can buy for this job, however a wooden dowel, pencil or finger nails will surfice. Just get it pressed down really flat. It is best to do the soldering soon after the foiling (within a couple of days) Leave it for a long time and the foil will tarnish making soldering more difficult. Following is a Youtube video of foiling glass. It shows how to use a foiling machine and I'll include how to foil straight lengths without one. Foiling is an easy task, however it needs to be done with care as the overall quality of your item will show up when you are finished. Foiling straight lines is actually more accurate when done without a machine. Watch the clip below and you'll see why. When foiling curved pieces with a foiling machine, the key is to keep the glass aligned nice and straight on the roller. 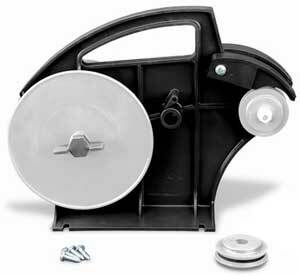 Press the glass into the roller as you go. When rolling around a pointed corner, release your pressure to make the turn, then resume the pressure when you begin rolling the next curve. It's on race, slow and steady is the key, just like a tortise a?! Next Tutorial: Soldering the glass together.